As Lead Counsel we are mindful of the relationships attorneys have with their farmer clients who have claims arising from Syngenta’s premature commercialization of Viptera and Duricade. 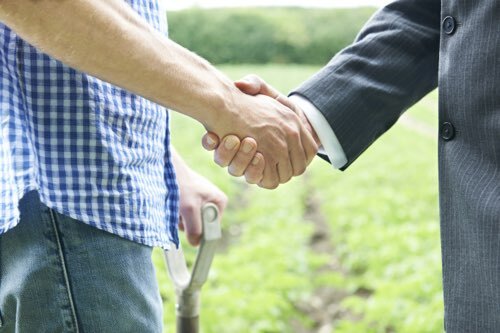 We respect that relationship and want to work with you to represent your farmer clients. We are currently working with counsel from across the corn belt who have placed their trust in us by referring their farmer clients, often neighbors and friends, to us. We have developed a fee agreement that is in your client’s best interest, is a fair and reasonable one-third contingent fee agreement and the contract is flexible to provide for a lower fee for your client in the event the Court determines the case should proceed as a class action and orders a lower fee. In advising your clients about this litigation you should also consider the advantage of participating in our litigation without filing an individual case against Syngenta where your client’s name is on the Complaint vs participating without filing an individual case. Filing an individual action exposes your farmer to the very real potential of intensive discovery, deposition and production of personal and financial records. We would be pleased to visit with you further about the various options your farmer clients have through our representation. Many attorneys not involved in actually working on the case are making dubious claims about recoveries of $1 or more per bushel. We would be pleased to visit with you more about your client’s particular situation, the value of their claims and how we can work together. As your legal partners, we will keep you updated about your case every step of the way.